Last update Nov 2018- new pix Led Zeppelin, Keef Hartley, John Peel and Colosseum . After a two and a half year layoff, 2018 prompted me to update as we had a number of new images coming in one after another from Melvin Green, Peter Clinck and Nigel Hall. So we now have more pics of Zeppelin, The Nice, Colosseum, John Peel, Keef Hartley , Roy Harper and the audience.Thanks to all our contributors, you are , as they say in Yorkshire...., champion ! 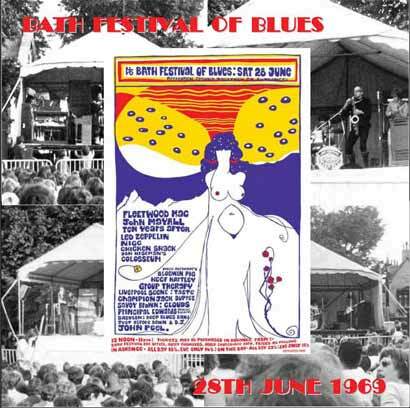 Links to other sections of the Bath Festival site are at bottom of each page. 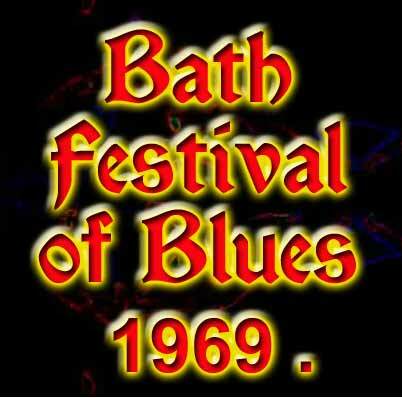 The unearthing of just over an hours worth of audio recordings of the Bath Festival of Blues is a major landmark , as this was an important festival , Freddy Bannister's first and to date it has not been documented well . Thanks to the Bannisters we have had a chance to listen to the audio recordings that have been found and we have managed to identify the music contained wherein, although there are still one of two songs that need identifying . Overall , the quality isn't bad at all, I've heard much worse . The levels were overall too loud which led to some built in distortion and there is hiss present that is clearly audible during quiet and in some cases , noisier passages. The volume levels and clarity fluctuate , probably due to the microphone being moved about . On occasions there is noise from the mic as it is hit or moved by the taper. Almost all applause is heavily pruned and there is little to identify songs, time of day or crowd reaction . Usual Alvin Lee pyrotechnics, playing rather too much rather too fast for my taste. Recording marred by quite a lot of audience chat. At the start of "I Woke Up" it sounds as if the tapers are talking about mounting the mic on a pole to improve quality as the sound improves markedly after a minute or two. volume in and out on occasions, Also played but not included here was ' I'm Goin' Home ". Generally pretty good quality, not too much audience noise and recording is quite clear. Rather distant sounding at times, nice sax from Jack Lancaster and Abrams is well on song .Cats Squirrel showcases Abrahams excellent guitar work. Fades out after six minutes, and quality dives after a minute or so. This is generally the best of the recordings . Very little in the way of audience noise and the sound is quite clean . There is a fair amount of hiss , but relatively in the background once the band gets going. the first track is an instrumental that lasts for six minutes or so but cuts out before it ends. This is a really great track that features lovely interplay between the guitarists but then suddenly dives into reduced volume levels which increases hiss markedly. Pretty good sound , but hiss intrudes during the quiet bits, also a lot of mic noise on occasions. The London Scottish Pipers on The Karelia suite are almost inaudible as they would not have been miked through the PA .Also played but not included here was America and Country Pie . If you have photos, recollections, set lists, newspaper reports or tapes of the event then Contact us and I'll add them to the site. 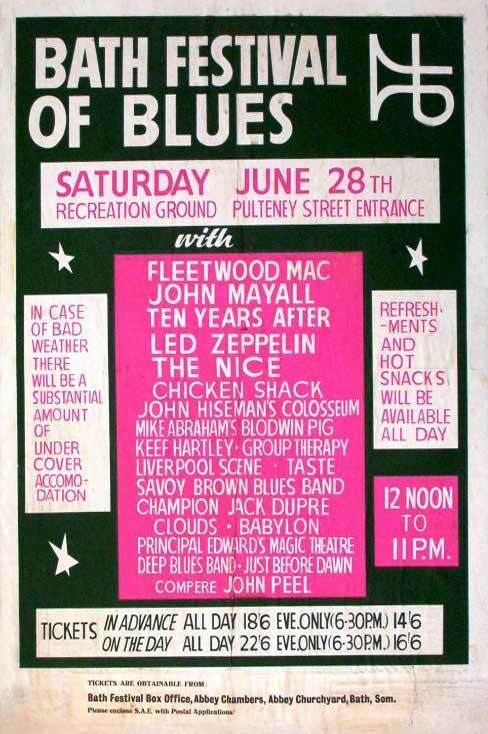 The pages below will eventually feature set lists, band line ups, press reports and recollections of the performances as well as links to other sites on the web as they become available. Thanks to Derek Manuel for his recollections of many of the acts and for prompting me to get the ball rolling after months of prevarication.